In this era of health reform and major changes in the health care delivery system, health care organizations are being challenged as never before. Boards must be prepared to meet these challenges and to continue serving the needs of their communities. Self assessment is a way for boards to ask themselves how well they are prepared to confront these obstacles. 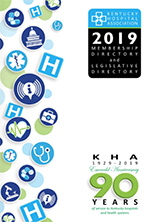 Kentucky Hospital Association’s (KHA) Board Self-Assessment tool can help a board identify where its strengths lie as well as where improvement may be needed. Self-assessment is an important function that should be an ongoing part of serving on any hospital or system board. There are two sections to the assessment tool, board assessment and personal evaluation. Board assessment allows each board member to answer a set of customizable questions about the board as a whole. Personal evaluation provides each board member a better understanding of their own strengths and weaknesses as a contributing member of the board. The hospital chief executive officer will receive the link to the Board Self-Assessment website after KHA sets up the hospital as an administrator of the survey. The survey is made up of a set of standard questions for each section. The hospital has the option to to customize the survey by selecting desired questions from the question bank. The hospital can also create up to three custom questions in each section. The hospital will add the board members’ email addresses to the site and then the survey will be sent to the members to take the survey. If you have board members that do not have access to a computer or the internet, there is an option to print a PDF version of the assessment. Someone at the facility can then input the answers into the website. The Board Self-Assessment feedback reports provide a response scale/weight, current year score compared to previous score, peer group benchmark and national benchmark score. For best results, KHA recommends using the program once a year.